The NJProghouse will be hosting a two-day event celebrating 20 years of bringing progressive rock acts to the stage. Join us for a weekend of top-notch music, featuring area and international artists. Advent began in 1989, when Alan Benjamin and Henry Ptak met to discuss the possibility of forming a new progressive-rock band that would seek to take the foundation of classic 1970s progressive-rock music and bring it into modern times—with Henry’s brother, Mark joining the following spring. Often approaching the music cinematically, with stylistic reference points falling somewhere between Gentle Giant, early Genesis, and Procol Harum—but with the more funky and accessible side of The Tubes and orchestral sensibilities of The Enid —Advent worked to create a collection of demos that piqued the interest of both EMI Classical and Polygram. In the mid-1990s, the band participated in two Gentle Giant tribute projects—the independent Giant Tracks followed shortly by Italian label Mellow Records’ Giant for a Life—the latter leading to a record deal with Mellow to release Advent’s self-titled debut in 1997. This CD sold out quickly and greatly helped the band achieve international notoriety. Following the release of the band’s critically acclaimed second album, Cantus Firmus (2006), Advent kicked off a series of live performances with a high-intensity set at the NJ Proghouse in May of 2007—after which the group began work on creating its most ambitious album to date, 2015’s Silent Sentinel. Advent looks most forward to returning to the NJ Proghouse stage in June, with its powerhouse rhythm section of long-time drummer Joe D’Andrea and new bassist Tom Hyatt. Randy McStine is a musician, songwriter and producer. 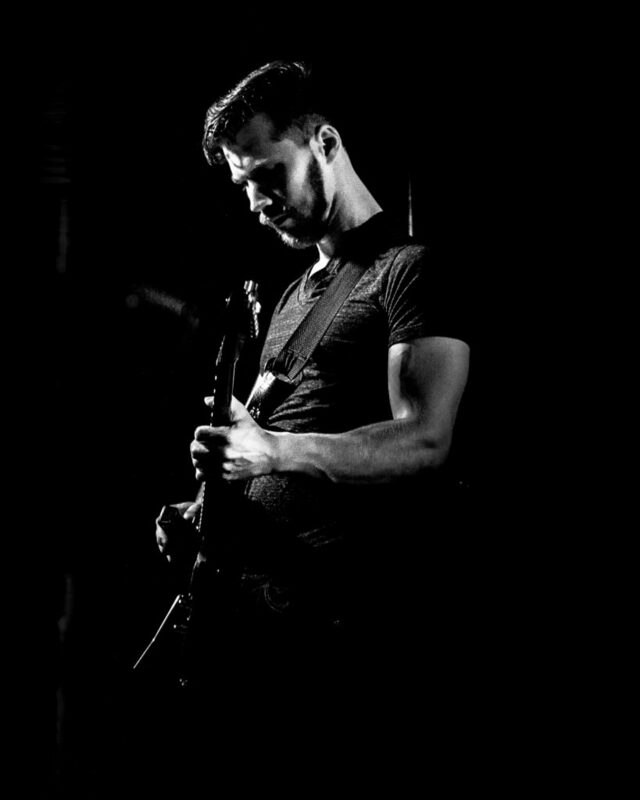 He is primarily known as a guitarist and vocalist, whose initial work under the name Lo-Fi Resistance led to collaborations with members of King Crimson, Porcupine Tree, Panic! at the Disco, Tears for Fears, Spock’s Beard, Joe Satriani, Miles Davis, King’s X, and more. Fueled by a wide array of influences, McStine’s work embraces genres such as Rock, Alternative, Progressive, Singer-Songwriter, Folk, Pop, and Ambient. Randy has also worked with artists such as Vinnie Moore (UFO), Stuart Hamm (Joe Satriani), Tom Brislin (Kansas), Adam Holzman (Steven Wilson), In Continuum, Dave Kerzner Band, Jane Getter Premonition, and Sound of Contact. He also fronts a Rock trio, The Fringe, which he formed with Nick D’Virgilio (Big Big Train) and Jonas Reingold (Steve Hackett, The Flower Kings) in 2016. “Before” is the latest single from Randy, featuring Craig Blundell (Steven Wilson) on drums. The song was mixed by Grammy Award-winning producer and mixer, Mario J. McNulty (David Bowie, Laurie Anderson). His latest, full-length album, Blank, was released in 2017. The Tea Club is a band about feeling. Their music is earnest and impassioned, combining elements of art rock, folk, electronica, and romanticism to create a new sound all their own. The band is fronted by the songwriting team of brothers Patrick and Dan McGowan, whose unorthodox guitar playing and fervent vocals form the core of the group’s unique style. Bassist Jamie Wolff and drummer Dan Monda create a raucously sophisticated rhythm section, drawing on their shared love of dynamics and melody. Joe Dorsey helms the keyboards and brings boundless energy, enthusiasm, and a forward-thinking approach to the compositions. The band has recorded 4 albums with renowned producer Tim Gilles at the legendary Big Blue Meenie Studios in New Jersey. Their records are haunting and immediate, utilizing intricate guitar work, bizarre alternate tunings, virtuosic keyboards, driving rhythms, and provocative lyrics all tied together by the guileless sound of the brothers’ vocals. As a live band they’ve earned a reputation for their intensity and sincerity. They’ve performed hundreds of shows, played with bands like Haken, Bent Knee, and Thank You Scientist, and toured the American East Coast, Midwest, and parts of Canada. The Tea Club’s newest record, If/When (due out in the summer of 2019), is daringly personal, exploring themes of death, failure, new life, and hope. Complex and cerebral, unguarded and intimate, If/When is a thoroughly heartfelt addition to the band’s immersive catalog. 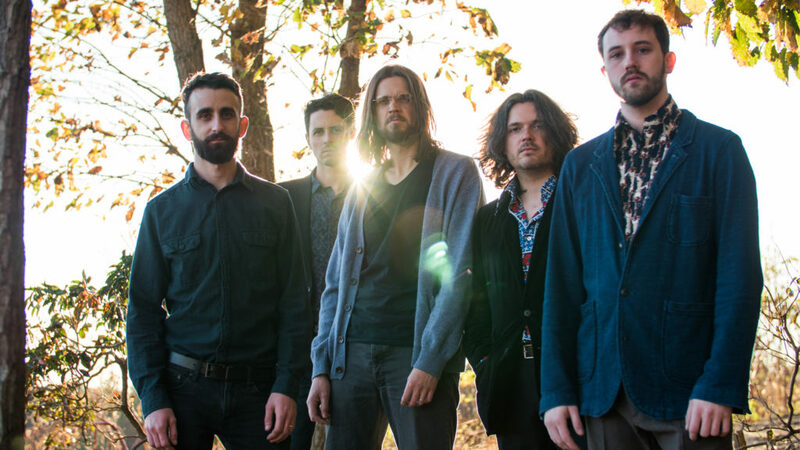 Heralded by Prog magazine as “Challenging, modern and frequently scintillating….” The Tea Club continue to explore new ways of communicating deep feeling through their art. 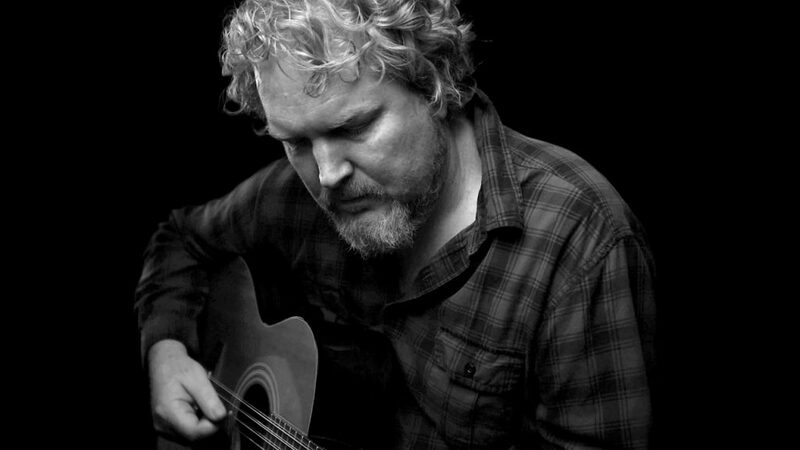 Brett Kull is a multi-instrumentalist, singer-songwriter, producer, and engineer from the United States. He is best known for being a founding member of the band echolyn and long-standing member of Grey Eye Glances. Brett is also an adjunct college instructor, sharing his love for audio engineering and sound design. 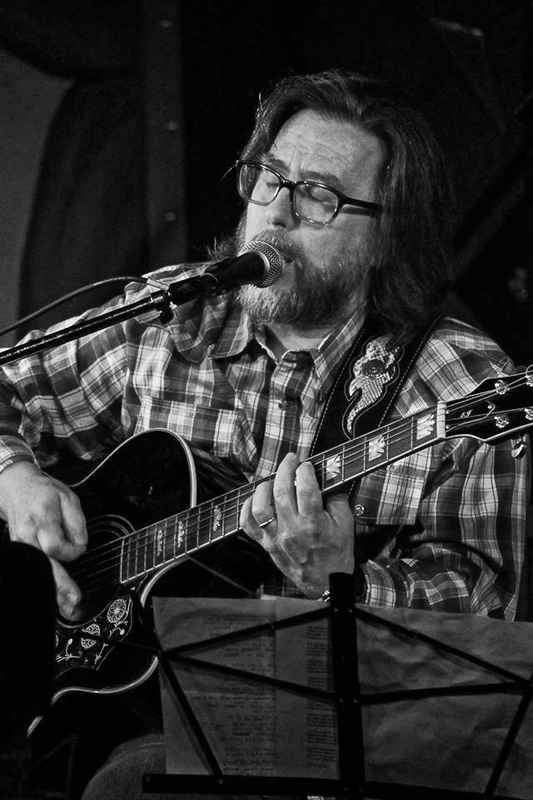 Ray Weston has been performing live since he was fifteen and has spent the last twenty-five years performing with the progressive rock group echolyn. Ray’s contributions have been mostly through composition of words and melodies, often depicting dark life events and pairing them with sweet melodies, weaving stories that explore these experiences. Ray’s growth with echolyn continues to develop and redefine a compositional style best described as melodic, harmonic, rhythmic, and dynamic progressive rock. 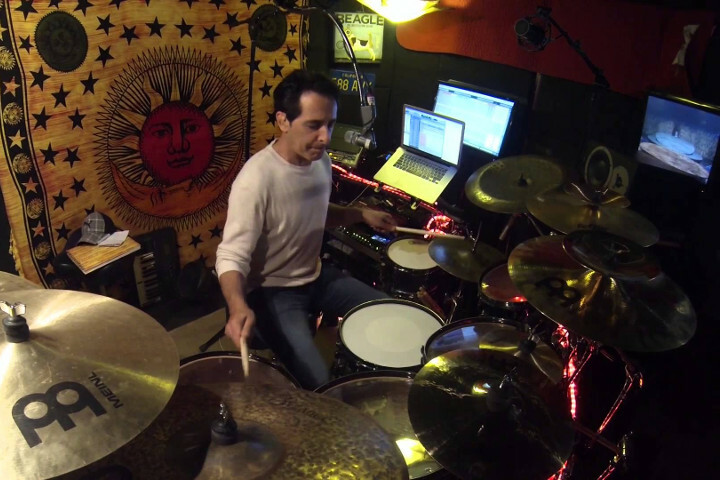 Nick D’Virgilio, often referred to as NDV, is an American drummer and multi-instrumentalist, best known as a member of the progressive rock band Spock’s Beard. He was also one of two drummers chosen to replace Phil Collins in Genesis on the Calling All Stations album. He has done session work with many artists including Tears for Fears and Mystery, and is an official member of Big Big Train. D’Virgilio had been a full member of the Mike Keneally Band from 2001 to 2004, playing on the tour supporting Keneally’s 2000 album Dancing, and later providing drums and vocals on the 2004 album Dog, which can be seen on the DVD included as part of the Dog Special Edition in both live as well as “making-of” studio footage. In August 2016, rock trio The Fringe released its self-titled debut album, featuring D’Virgilio on drums and vocals, Jonas Reingold of The Flower Kings on bass, and Randy McStine (Lo-Fi Resistance) on vocals and guitars. In 2018, it was announced that Nick has returned to Spock’s Beard in the drummer’s role, and appears on their 13th studio release. Rikard Sjöblom is perhaps best known as the multi-instrumentalist frontman of Beardfish, a band who established itself as one of the most consistently brilliant modern-day progressive rock bands over the course of eight studio albums. In recent years, Rikard has also become a member of the English band Big Big Train, who are set to release a new studio album in May. Rikard’s Gungfly is the latest of Sjöblom’s outfits—a prog rock extravaganza where anything goes, basically! The band will travel from soft Americana-style ballads to full symphonic rock via jazzy passages, aggressive Soundgarden-esque heavier parts and tricky instrumentals, sometimes in the same song! The band, apart from Rikard (vocals, guitar and keys) features Petter Diamant (drums), Love Andreas G:son Fagerstedt (bass) and Martin Borgh (keyboards). 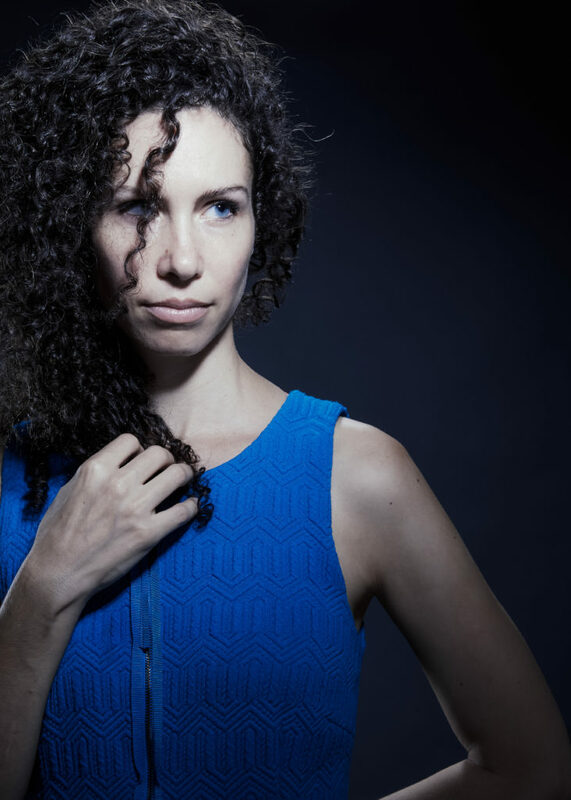 Vocalist and composer Tammy Scheffer has been a creative force in NYC’s vibrant jazz scene for almost a decade. 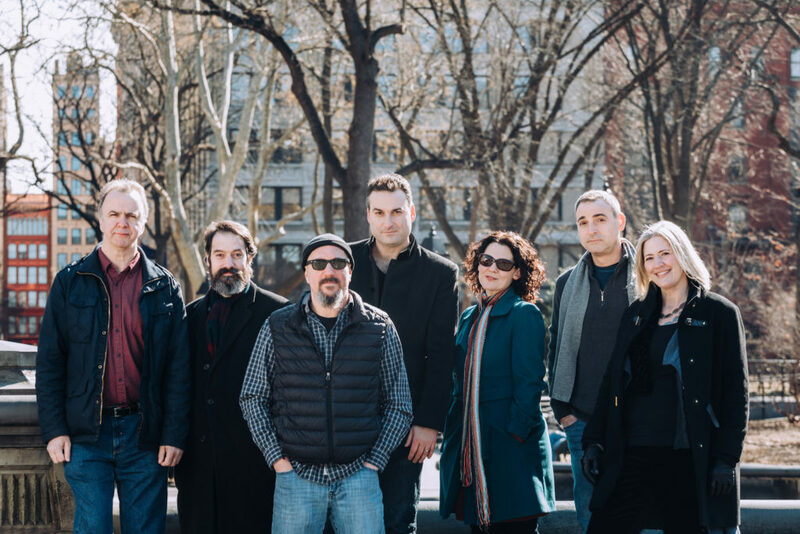 Hailed by the Chicago Tribune as “innovative, provocative and alluring,” Scheffer composes and leads multiple projects, among them are the rock trio Morning Bound and the Tammy Scheffer Sextet, and lends her voice to progressive rock and forward-looking jazz ensembles in NYC and worldwide. Scheffer performed at Carnegie Hall and the Jazz Standard in NYC, Revoice Festival in London, MISA festival in China, San Sebastian Jazz Festival in Spain, Kennedy Center Millennium Stage in Washington DC, Chicago Cultural Center, Virginia Arts Festival and many other premier stages. In this program, Scheffer explores solo voice textures with the aid of a looper and electronic effects, taking her audience on a sonic adventure. 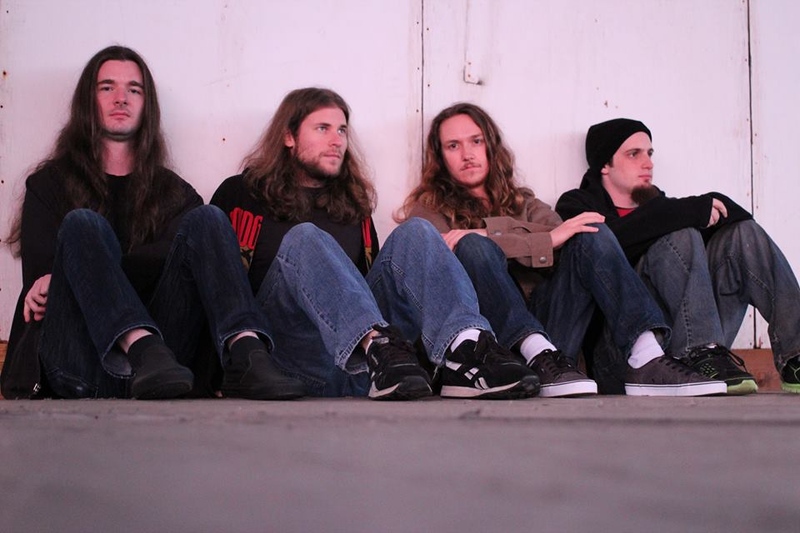 No More Pain is a central-Jersey based quartet. Symphonic progressive rock with a grungy epicenter, their music can be described as a mellow soundscape followed by a direct kick to the face, and are still to this day “The only band preferred by both God and Satan.” No More Pain stands on the line drawn in the sand between rock and progressive, in the sweet spot where their music captures the listeners’ ears and minds. Since its formation in 1996 under the musical vision of brothers Tom and John Galgano, IZZ has been a stalwart of the American progressive rock music scene. Releasing such memorable albums as I Move, My River Flows and The Darkened Room, IZZ has performed at numerous festivals in the North American progressive art rock circuit including NEARFest, ProgWest, ProgDay, RoSfest, Calprog and the Terra Incognita Festival. 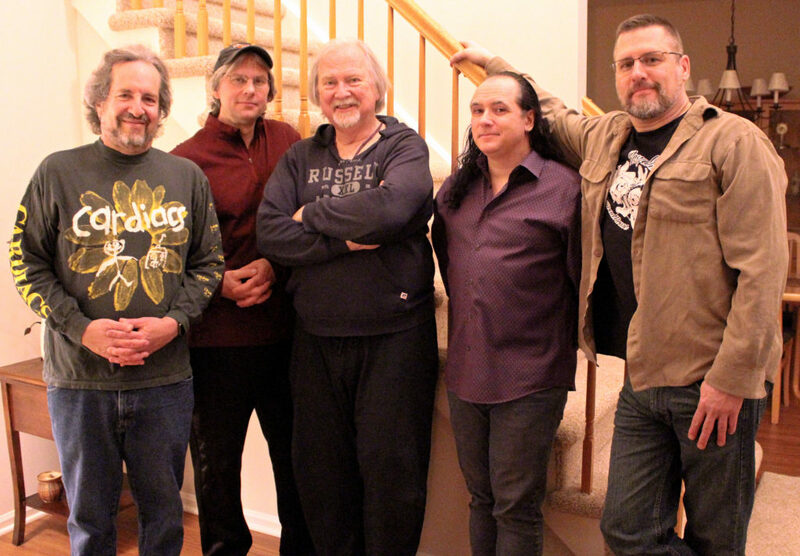 Led by keyboardist, producer, arranger and studio engineer Tom Galgano, the members of IZZ come from unique and diverse musical backgrounds and have all contributed to make the IZZ sound something quite unique among progressive rock bands. As IZZ enters its third decade, the band’s fire to create captivating and adventurous music burns as bright as ever. The band will be releasing their new album in Spring of 2019. The Devil’s Staircase is known for their unique musical approach, which is inspired by math and physics. 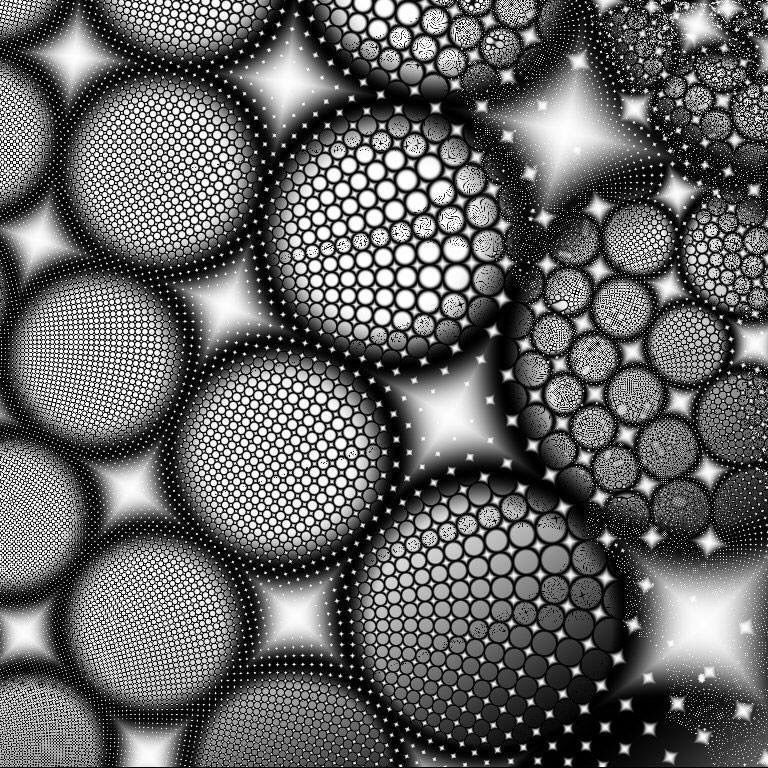 Columbia College Chicago physics professors Luis Nasser and Tim McCaskey create original music structured by the mathematics of fractals, cellular automata, planetary orbits, and chaos. The band features Ramsés Luna, Edgar Arrelin Rosas, Mattias Olsson of Änglagård, Pineforest Crunch and Necromonkey, and Aaron Geller of Mexican jazz-folk-rock fusion band Luz de Riada. Musical hometowns of the group are Chicago, Stockholm and Mexico City, giving the band an expansive heritage of musical talent. 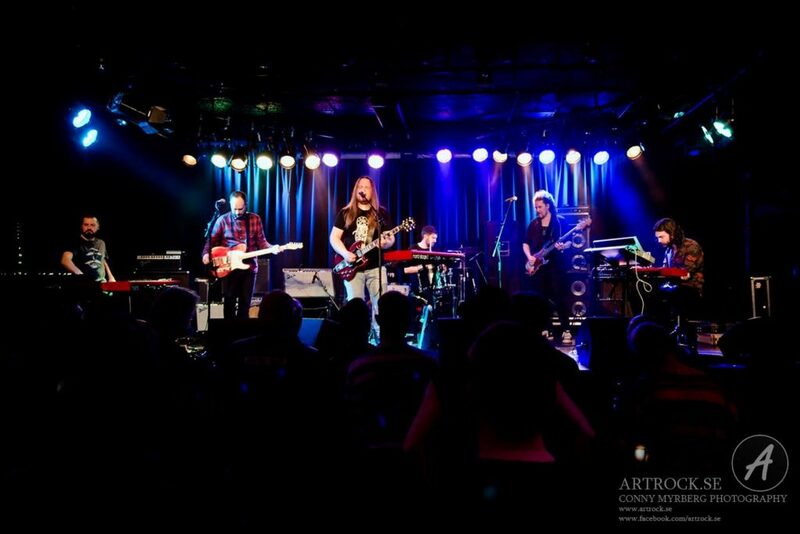 The group sometimes labels their genre “fractal prog”, basing many of their innovative pieces on mathematical concepts, using both acoustic and electronic wind and string instruments. Their music has a rich Spanish flavor, with their sound on the more eclectic side of prog.